The Extension for E-Prime® allows you to control your eye tracker from E-Prime® and to receive gaze data in real-time. The gaze positions, fixations and saccades will be saved simultaneously to files, as well as triggers you can send to synchronize your own events (like displaying a stimulus) with the gaze samples. You can also remotely define areas of interests and the Extension will notify if one was hit. 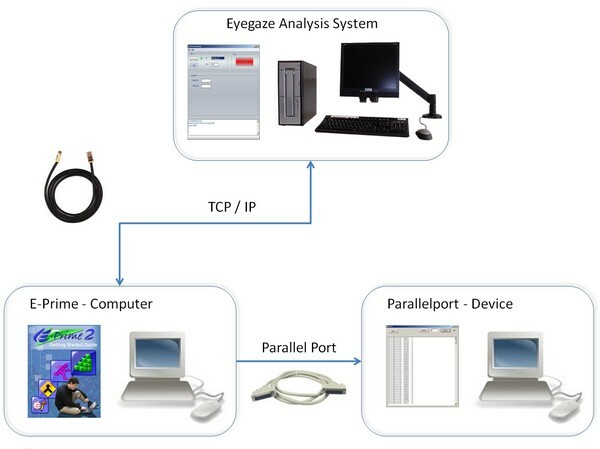 Need details on how to link your eye tracking interface?